For those who want a healthy tea time snack, instead of grabbing that bar or chocolates or chips, why not try making the snack below? All you need is an orange or two, some roasted walnuts and raisins. 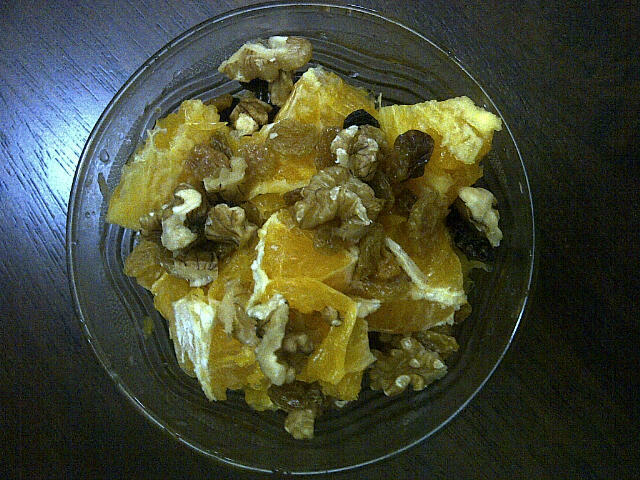 Cut the orange in cubes and put in roasted walnuts and raisins. You may add in your own variety such as apricots, grapes, grapefruit, etc. It aids in your body’s digestion and help give you a gradual energy boost. Why can’t I just fall asleep?